Continuing education for parents is offered in both monthly parent discussion groups and in traditional parenting classes. They range in topic and focus and are led by the foremost authorities in the field. Mostly PARENTS JUST LIKE YOU! Childcare is often provided and fees are posted here along with the topic for the month. Check back often! Six-week parenting classes are offered three times each year: Fall, Winter and Spring. Both afternoon classes, from 12:30 until 2:00pm and evening classes, from 7:00 to 8:30pm, are available in the school library. STEP (Systematic Training for Effective Parenting) is the topic of fall classes. 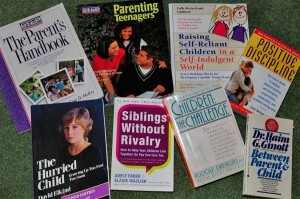 Siblings Without Rivalry is often taught beginning in January and using the text of the same name. Spring classes, starting in April, may vary. Positive Disciple is the focus, using Jane Nelson’s book and /or Stephen Glenn’s book, Raising Self-Reliant Children. Parenting classes are not offered during the summer. Please call Town & Country with any additional questions you may have at 310-375-2829.